And so continues the mythology of T.D. Skatchit & Company - Tom Nunn and David Michalak playing skatchboxes in trios with various Bay Area improvisers. 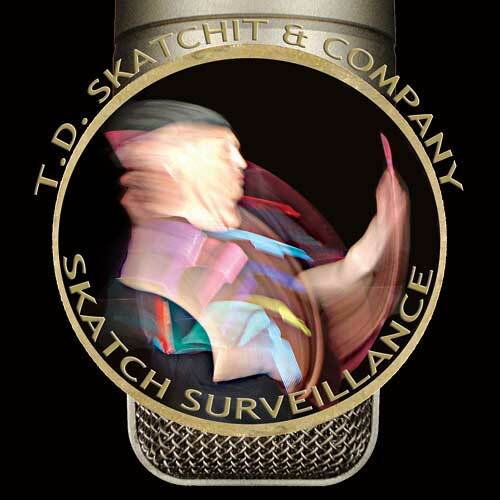 Skatch Surveillance, their 3rd release, celebrates the ongoing development of skatchbox techniques pioneered by Tom and David and is an exploration of the varied influences guest musicians bring to the music of Skatch. The 16 tracks include – We Do Know, Detective Skatchit, Skatch Surveillance, Your Brain on Skatch and others. Guest musicians include: Aurora Josephson, Chris Brown, Jonathan Segel, Karen Stackpole and others.